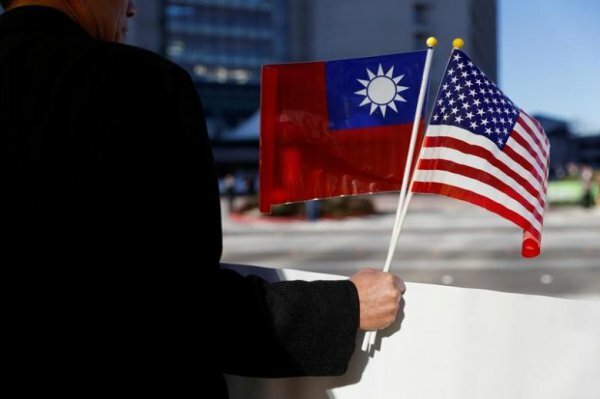 With the new US administration in office, Taiwanese political observers expect to engage in a serious dialogue with high-level American officials to establish intensified military cooperation, as well as a bilateral trade deal, potentially leading to a free trade agreement. Under such auspices, Taiwanese President, Tsai Ing-wen, will have to perform a delicate balancing act between closer economic ties with her American ally while at the same time refraining from angering Beijing. Although the Communist Party strongly opposed the dispatch of the Taiwanese delegation to President-elect Trump’s inauguration led by former Premier, Yu Shyi-kun, China is not expected to make an aggressive move. Diplomatically isolated Taiwan looks forward to more military cooperation and high-level visits from the United States under Donald Trump after he takes office as U.S. president Friday [20 January 2017], though both sides are likely to proceed carefully to avoid a backlash from China. Trump has said in comments as late as last week that he’s open to renegotiating U.S. policy that forbids seeing self-ruled Taiwan as its own country. China, which claims sovereignty over Taiwan, has reacted in anger, including a request that an informal Taiwanese delegation not attend Trump’s inauguration ceremony. Analysts in Taipei and the United States expect the Trump administration to work with China on its political terms - known as the "one-China" policy toward Taiwan. But at the same time Trump would build a strong informal relationship with Taiwan in place since the 1970s, especially if helpful to business. Washington broke officials ties with Taiwan in 1979 in favor of the larger, fast-growing China. A boost in informal ties would probably bring arms sales, military exchanges and a boost in senior-level visitors to Taiwan, experts say. “I don’t really think [of] President-elect Trump the same as President Trump,” said Raymond Wu, managing director of e-telligence, a Taipei political risk consultancy, referring to harsh remarks toward China since the Nov. 8  U.S. elections. “I think the primary objective is still the preservation of American interests, and many of the foreign policy positions and conducts of the past have proved to be effective, for example on the one-China policy, so I don’t really believe there will be a dramatic departure from some of the long-standing U.S. positions on these very sensitive issues,” Wu said. China discourages its more than 170 diplomatic allies from treating Taiwan as a state, and just 21 countries officially recognize it. Beijing eventually wants to bring Taiwan under its flag despite widespread opposition on the island. Prospects of a suddenly stronger U.S. relationship began exciting the Taiwanese and worrying China after Taiwan President Tsai Ing-wen spoke by phone with Trump Dec. 2 . The two sides discussed security and Taiwan’s international space. Tsai still hopes to avoid provoking China, which retaliated for the Trump call by persuading a Taiwan ally to switch sides last month, and passing the Chinese aircraft carrier near Taiwan last week [11 January 2017], experts say. Increased military contact - including sales of American-made weapons to Taiwan - senior-level visits and an increase in trade would irk China, but approximate what previous U.S. governments have done for Taiwan. Military exchanges are expected to pick up following the passage in Washington last month [December 2016] of the National Defense Authorization Act, which makes exchanges with Taiwan part of U.S. law. Trump’s aides have also voiced support. The United States is Taiwan’s top arms suppliers, agreeing to major sales in 2010 and 2015. China is the island's only military rival. High-level visits from Washington to Taipei that picked up under previous Taiwan president Ma Ying-jeou, bringing people as senior as the U.S. Environmental Protection Agency Administrator Gina McCarthy, are forecast to sustain or grow. Trump says he opposes wide-reaching foreign trade deals such as the 12-country Trans Pacific Partnership (TPP), raising hope in Taiwan that he might consider instead bilateral trade or investment deals that make economic sense for American companies. Taiwan has pressed for a deal for years, and two-way trade of $86.9 billion in 2015 favored the island’s manufactured exports. “As Trump's spoken of his desire for possible free trade agreements with partners who share our values and ideals, one can't rule out the prospect of a Trump administration launching FTA negotiations with Taiwan one day,” said Sean King, senior vice president of New York political consultancy Park Strategies. Tsai is expected to go with any lead Trump takes in building stronger relations, but avoid action that would provoke China by making the communist government feel Taiwan is striving for formal diplomatic recognition in Washington. Chinese President Xi Jinping hopes Taiwan stays muted this year to avoid a situation that, if handled poorly, could get him in trouble with detractors in the Communist Party, said Lin Chong-pin, retired strategic studies professor from Tamkang University in Taiwan. Since taking office in May, Tsai has taken a cordial but guarded approach to China. Communist officials want her government to sit down for talks, but the two sides disagree on conditions. After the call between Tsai and Trump last month, China demanded Trump drop any designs to give Taiwan formal attention. It also asked that a Taiwan delegation not attend the inauguration. Yu Shyi-kun, a former Taiwan premier, is leading the delegation, which will also meet academics and other politicians in the United States. But Beijing probably won’t get any tougher on Taiwan without a “serious step toward independence” from China, Romberg said.